Victor Sandberg is the new Missile Command world record high score holder, and it only took him 56 solid hours to claim the title. 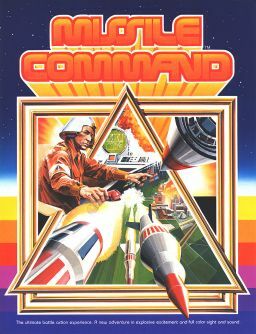 Atari unleashed the massively popular arcade game Missile Command back in 1980, when the words "Atari," "arcade" and" massively popular" could be strung together in the same sentence without raising eyebrows. In 1982, a man named Victor Ali rung up a ridiculous score of 80,364,995 points, a world record that for more than 30 years was viewed by the professional Missile Command punditry as unassailable. But everything changed this past weekend, when a new Victor rode into town and set a new mark for a new generation. Sandberg - who, if he's smart, will now refer to himself as Vic 2.0 - put up a total of 81,796,035 points over the previous weekend, a Herculean effort that took more than 56 hours to accomplish. He was able to take brief breaks while he played because the "Marathon" rules under which he played allow the accumulation of extra cities, meaning he could step away from the game for up to 30 minutes at a time while missiles rained down, although he told Ars Technica that he prefers to take much shorter rests. In "Tournament" mode, extra cities are not allowed and the high score stands at a little shy of 4.5 million. What possesses people to do something like this? Nostalgia is undoubtedly a big part of it, although Sandberg wasn't even born when Missile Command came out, but another likely factor is that you just don't see this kind of points-driven game anymore. The stark, win-or-lose scoring system of videogames from the classic arcade era are simply more conducive to record-setting attempts than contemporary fare. Sandberg's record has yet to be confirmed by Twin Galaxies, the arbiter of all things arcade, but if you happen to have two-and-a-half solid, sleepless days on your hands and nothing better to do, you can watch a recording of the performance on Twitch.tv.